I enjoyed hitting the Srixon Z-Series woods and hybrid quite a bit, Srixon really impressed me with their build quality, so I was excited to see what the Srixon Z Series irons had to offer, as well. 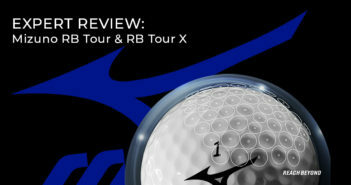 The previous lineup of Srixon irons had three sets of irons, a game improvement, players and true muscle back offering. This new lineup has trimmed that down to two, the game improvement Z 585 irons and the players Z 785 irons. 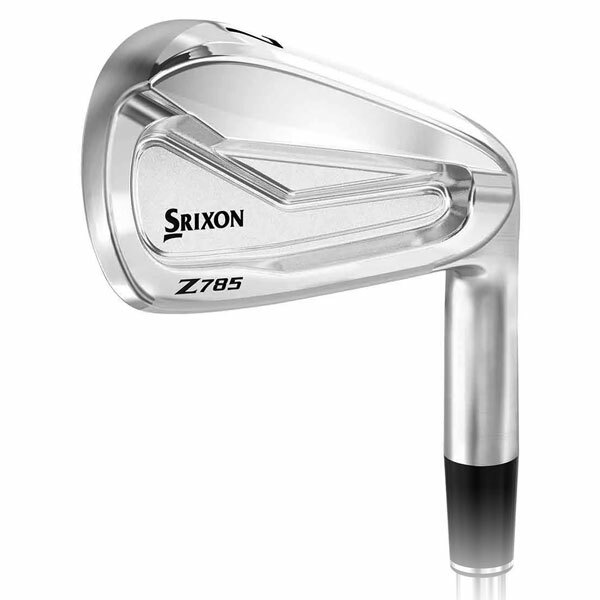 Srixon Z 785 irons are a players iron set, forged from one single billet of soft 1020 carbon steel. The softer metal produces enhanced feel for ultimate workability. A laser milled face produces consistent spin from the fairway and the rough, which will help with distance control from buried and flier lies. The Tour V.T. Sole has a fresh re-design and promotes cleaner and more consistent turf interaction. Srixon also incorporated what they call a Tour Cavity into the Z 785 irons, which is extra mass located behind the impact location. 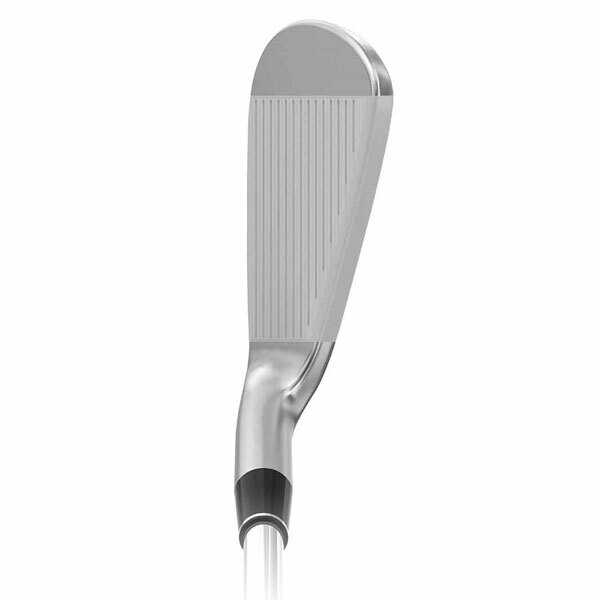 This extra mass is designed to create powerful shot shaping with increased versatility. Srixon Z 585 irons are built as a game improvement set and feature many of the same technologies as the Z 785 irons. 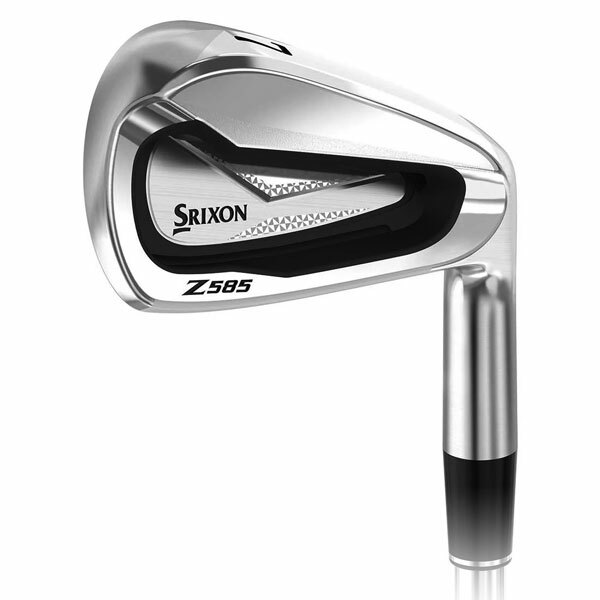 While they are a game improvement iron set, the Z 585 irons have a compact players iron look and feel. 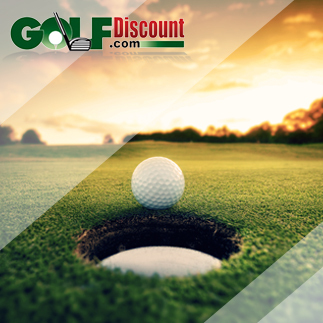 The body is forged from 1020 carbon steel, a softer alloy than many game improvement irons, which are many times cast and not forged. The softer metal creates less vibration for better feel through impact. The Z 585 irons also feature a laser milled face and the Tour V.T. Sole. In addition, the sole is widened in the long irons for extra forgiveness. 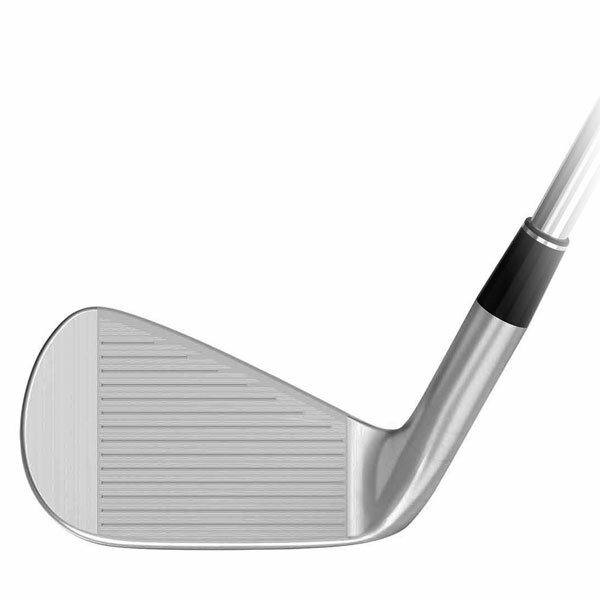 Where the Z 585 irons truly differ from the Z 785 irons is the clubface and the Speed Groove. The face is made from a SUP10 maraging steel insert allows for a thin face while retaining a soft feel. Srixon’s Speed Groove since behind the face and allow for more face-flex at impact. More face-flex equals faster ball speeds and longer distances. Club Repair Tech and industry expert, Jeff Johnson over at Pro Golf Discount in Bellevue, Washington said to me that, “most people come in and are looking to hit one of the top brands, but if I can get them in a this or that comparison with the Srixon iron the Srixon usually gets the sale”. After testing these irons, I can absolutely see why. The miraging face of the Z 585 irons is soft and even though there is a pronounced cavity back, the feel is incredible. I applaud Srixon for using a forged body because I did not feel the click that is standard in many cavity-back and game improvement irons. The difference is real. Based on the feel of the Z 585 irons, I couldn’t wait to see what their fully forged head felt like. Once I hit the Srixon Z 785 irons I was not disappointed in the slightest! This is a solid, soft and smooth iron. It’s weighting is incredible, and it is very easy to keep the face of this iron square at impact. I wasn’t surprised to see the results from my numbers on the GC2 Launch Monitor. 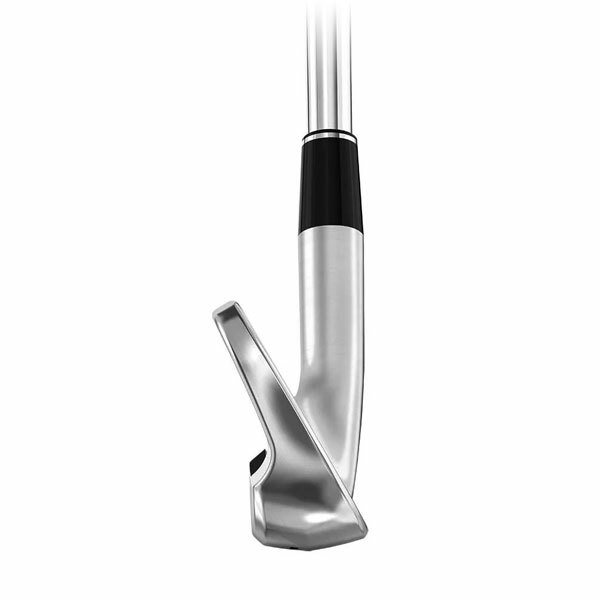 The hotter face of the Z 585 produced greater distances due to a slightly lower ball flight and spin rate. 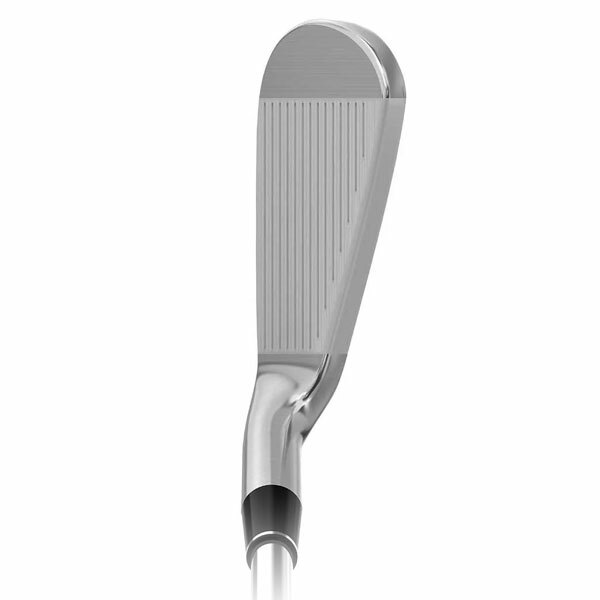 This is also backed up by the Z 585 7-iron having a 1° stronger loft than the Z 785 7-iron. My guess is you are going to see a lot of combo sets between the Z 585 and Z 785 irons (I wouldn’t be surprised to see the wildly successful U85 driving iron incorporated at the low end of these sets either). Combining a little extra forgiveness from the Z 585 irons in the long irons and a little bit more precision through the Z 785 irons in the scoring irons can be a lethal setup. However, I can also see people play full versions of either set, as both offered great amount of forgiveness and launched the ball with ease. Srixon paired these irons with lighter weight Nippon shafts as their stock offering, which will also help players elevate the ball, but their custom shaft availability rivals the top manufacturers. In the end, I would say both of these iron sets are designed for better players, but the 585 irons could be played by someone in the 16 to 18 handicap range, no problem. The full set of 785 irons is better suited for players with around a 12 handicap and lower. Don’t just take my word for it, take Jeff’s advice and hit a Srixon iron side by side with what you’re testing and see which gives you the best results.